Nuclear astrophysics is, in essence, a science that attempts to understand and explain the physical universe beyond the Earth by studying its smallest particles. 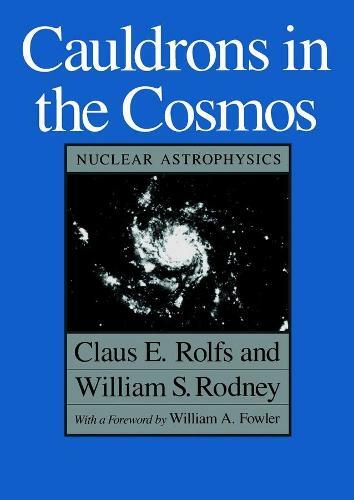 "Cauldrons in the Cosmos", by Claus E. Rolfs and William S. Rodney, serves as a basic introduction to these endeavors. From the major discoveries in the field to a discussion of the makeup of stars to an explanation of standard lab techniques, this text provides students and scientists alike a thorough and fascinating survey of the accomplishments, goals, and methods of nuclear astrophysics. A classic in its field, "Cauldrons in the Cosmos" will surely remain an important reference in nuclear astrophysics for years to come.